From Kamloops I travelled to Vancouver for two nights to wind up my trip out to the west coast for business. And I couldn’t leave lovely British Columbia without eating some sushi so my colleague brought me to a place called “Tokyo Joe” Sushi Factory. A local joint in Richmond, a suburb of Vancouver. Located in a strip mall, the small casual restaurant was packed with diners occupying every table. The menu, pinned on the wall with a picture identifying every dish available which is great when you have no idea what you feel like ordering – I’m really indecisive sometimes 🙂 After talking with my colleague I decided on 3 items: the Gomae, House Roll, and the Volcano Roll. 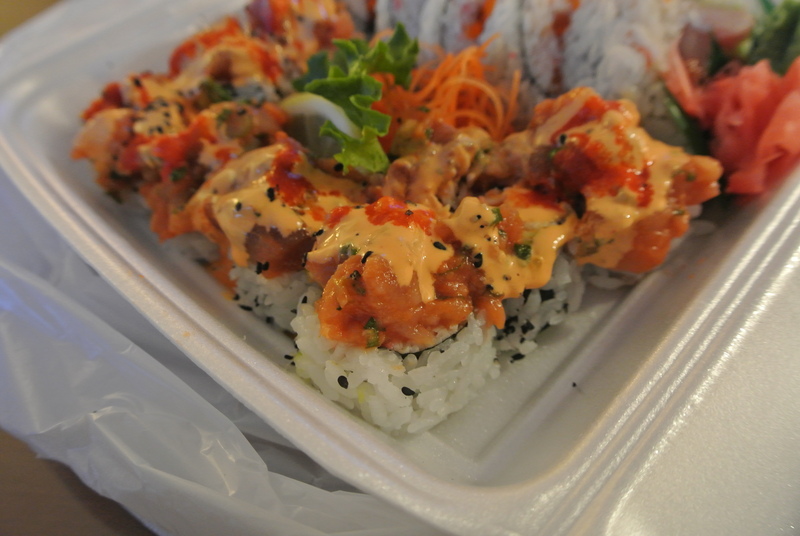 True to its name, the Volcano roll set my mouth on fire! It was so spicy! Although the sushi at Tokyo Joe’s is unique, my favourite was the Gomae – spinach salad with pieces of tuna and covered with chunky sesame dressing, so nutty and sweet! Delicious! 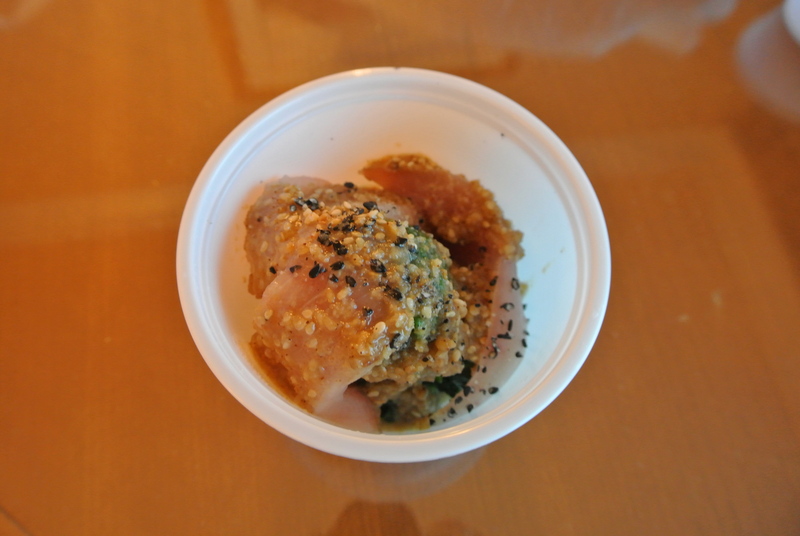 Gomae – spinach salad with tuna and sesame dressing. 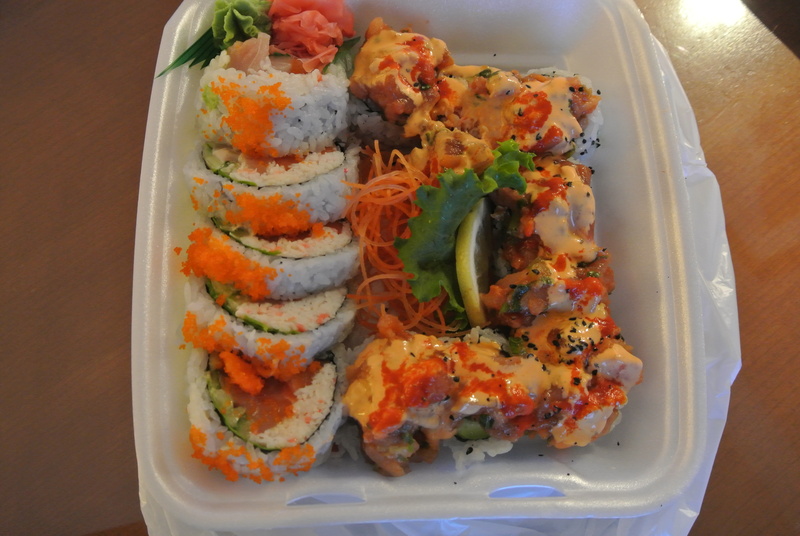 The House and Volcano rolls – this may not looks like a lot but I was stuffed after this. And all for $25! House Roll – crab meat, tuna, salmon, avocado and cucumber. Delicious and filling! 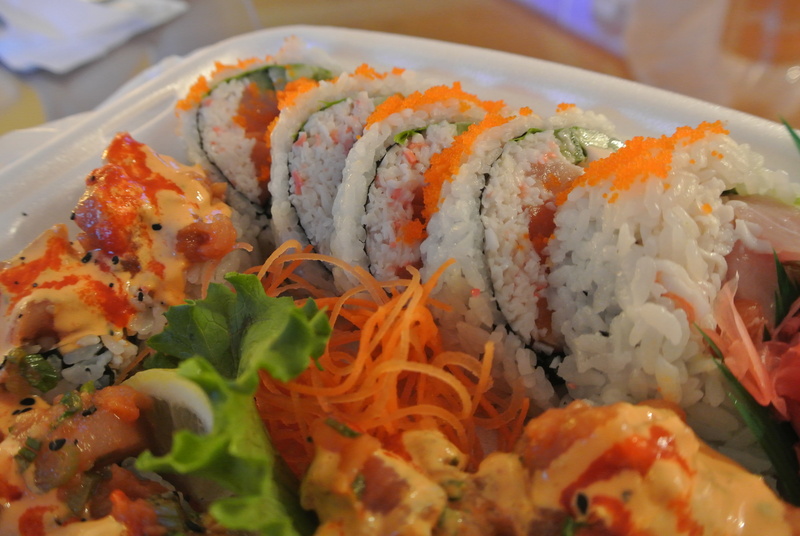 Volcano Roll – traditional california roll topped with spicy tuna and masago (fish eggs).